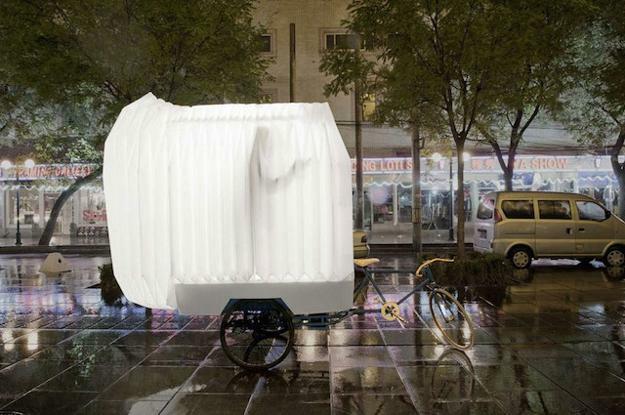 Tricycle House and Tricycle Garden from People’s Architecture Office (PAO) + People’s Industrial Design Office (PIDO) is a project that addresses the problem of inability to own land, house and garden. Lushome presents the Tricycle House and Tricycle Garden designs showed at the 2012 Get It Louder Exhibition. The inability to own land is a fundamental condition in China. 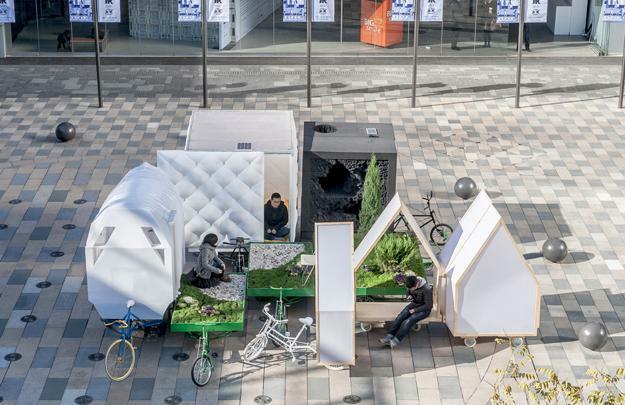 The small house and garden designs on three wheels allow to experience the relationship and connection between people and the land. 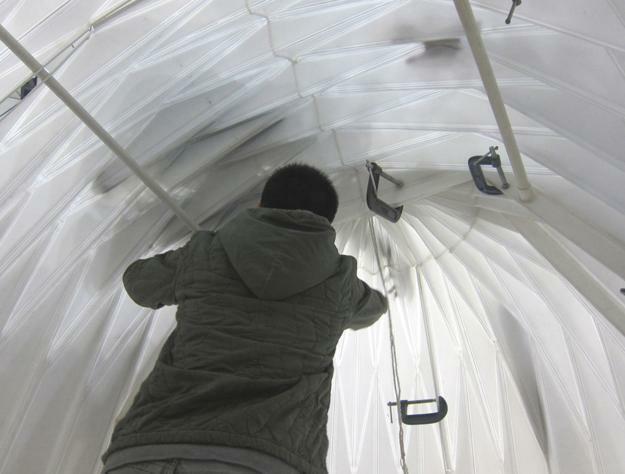 The Tricycle House is a unique experiment with folded plastic parts that allow to design light and portable structures. 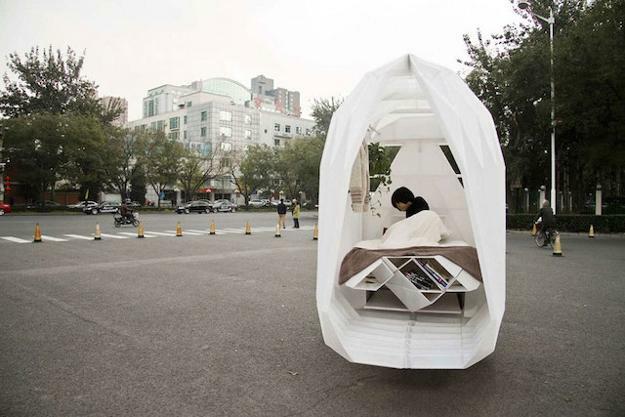 The mobile house and garden designs are created with many pieces, and each piece is precisely cut, scored flat, then folded and welded into shape. 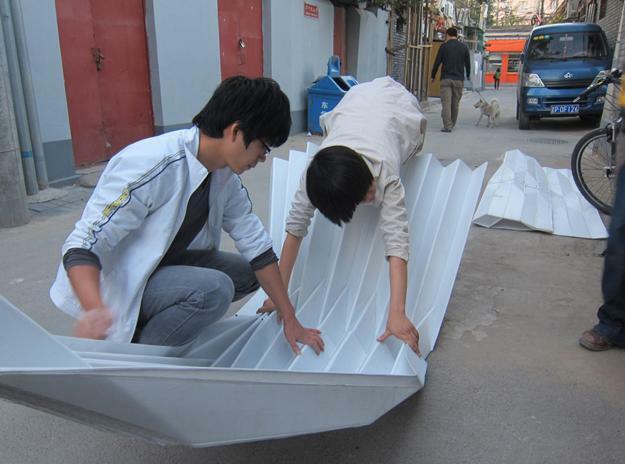 Polypropylene is unique, durable and light building material that can be folded without breaking. The small house can open up to the outside, expand out like an accordion to increase living spaces or connect to another house. The plastic, used for the house design, is translucent, creating a bright and comfortable interior, which is always lit by the sun during the day or street lamps at night. 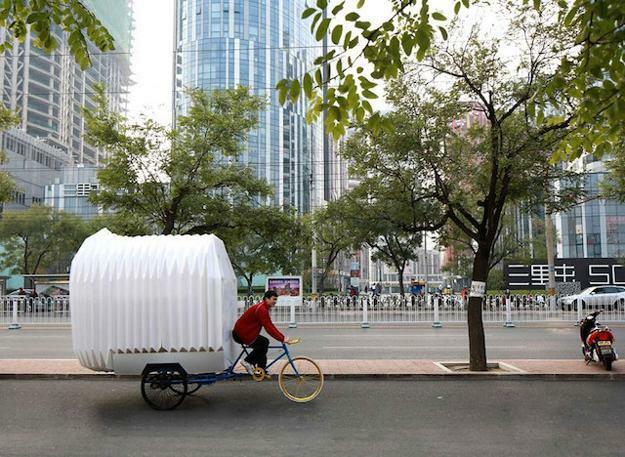 This portable and small house design on wheels is convenient, especially for singles and young families. The mobile house and garden design is a solution to provide small homes that are affordable, functional and sustainable. Great for traveling, this small house design can make a wonderful summer cottage also to get connected with the nature in comfort and style. 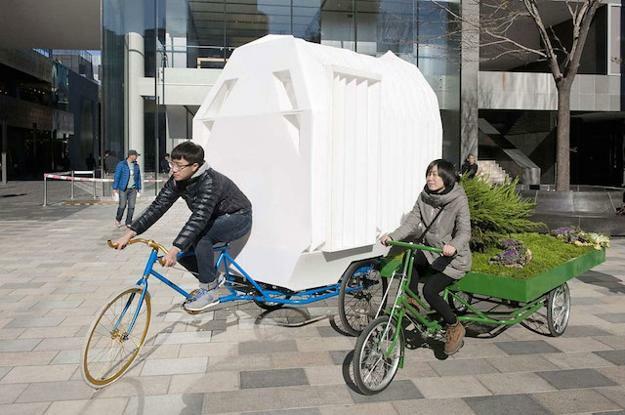 The Tricycle House design is man-powered, ideal for Green living. 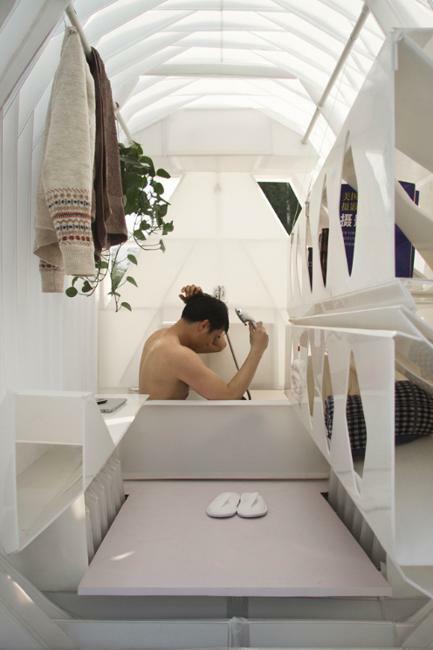 Facilities in the mobile house include a sink, stove, bathtub, water tank. Transforming room furniture is space saving. A bed turns into a dining table with a bench or countertop. The sink, stove, and bathtub can collapse into the front wall of the house. 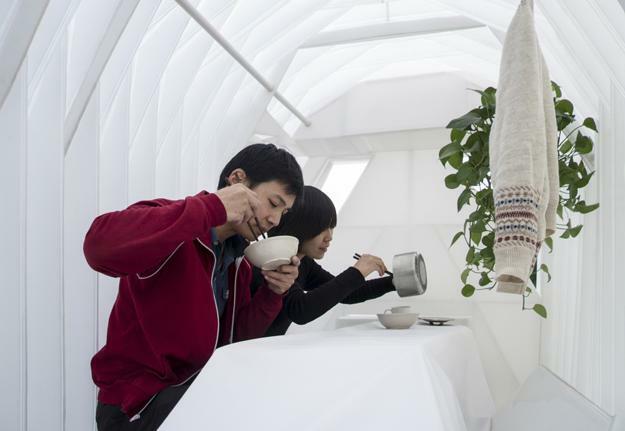 The mobile house and garden designs allow to create a home-like environment for everyone. The garden can be planted with decorative grasses, beautiful flowers and shrubs. 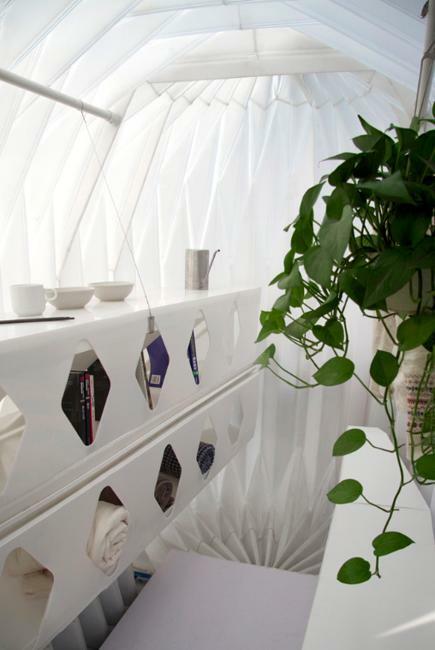 and can be used for growing edible herbs, berries, fruits and vegetables. The front of the garden doubles as tricycle seating which maximizes Green living space. Several gardens can be combined to form a larger public Green space or private outdoor living spaces while saving money and helping people to connect to the nature. Photographs are courtesy of PAO + PIDO.